Back this weekend is Gloucester Quays' Orchard Street Food & Craft Market. 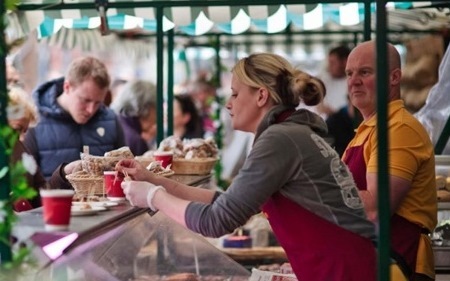 The Orchard Street Food and Craft Markets features the finest artisan arts and crafts, jewellery, homewear and accessories, plus delicious, locally sourced food and drink from award-winning producers, and plants and seasonal goods. The Orchard street market is open 10am - 6pm on Saturday and 11am - 5pm on Sunday.